Life for a typical Swazi is very hard, and life for a Swazi woman or child can be almost unbearable. The first Child Protection Act was enacted in 2012, making it illegal for children to be abused, raped, used as slaves or given in marriage at a young age (amongst many other things). In 2018 (not a typo) the Swazi government enacted a Sexual Offenses and Domestic Violence Act, which established a broad new legal framework for curbing gender-based violence. While both Acts are incredibly important for the future of the Kingdom, we are encouraged to be patient while law enforcement, Social Welfare and the public to know, understand and support the details of both. Patience is not a virtue that I have much of. This week I saw suffering up close and personal of three Swazi women whom I work closely with at Project Canaan. In order to protect each one’s privacy I will not mention names or places, but I have received permission from each of them to share their photos and stories to give you a glimpse of what they are dealing with on a daily basis all while trying to do a good job at work, maintain a good attitude and participate in our community. On Tuesday, while I was sitting getting my hair cut in South Africa and Ian was having a procedure (tune-up of sorts) on both knees, I got a WhatsApp message with three photos from a young lady whom I work with and have known for many years. The short message told me that this young lady’s sister had just been shot and killed in South Africa. There were four people in total who were murdered in cold blood. 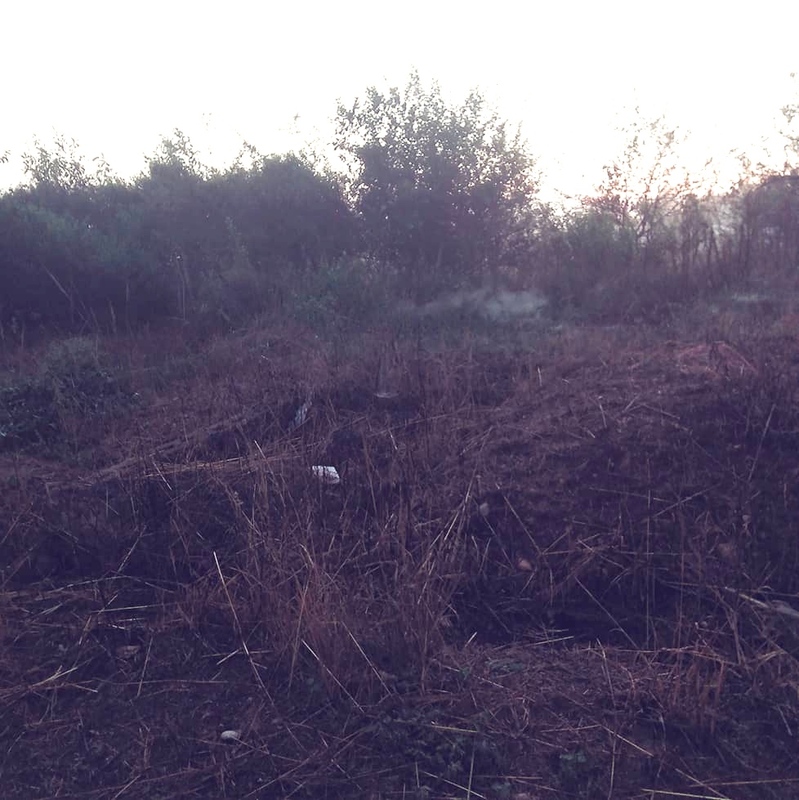 Then she sent me two photos of the deceased, and then a photo the body bags holding the dead bodies. The moment was shocking, raw and I knew her heart was being ripped out hundreds of miles away. Once the initial wave of her grief subsided, the enormity of the “problem” started to emerge. How do you bring a dead body across two African borders? This young lady is the eldest in her family, and she and the rest of her siblings were kicked out of their homestead after both their parents died 12-years ago, so they have been “homeless” since that time, with no place to even bury the sister if they can bring her home. She has made Project Canaan her own home now, but her younger siblings all rely on her for wisdom, guidance and often funds. While we are still sorting through all the legalities of the situation, the costs are crippling and mountain ahead is daunting. We are in the middle of this story, but we will continue to walk beside her as she navigates funeral homes, police stations and International laws. Meanwhile I have been walking alongside another young woman who has been saving money to build a house for herself and her daughter to keep them both safe from intruders and thieves. As she was preparing to work on her house last week she discovered that all the money she had hidden in her current room had been stolen – by her own sisters and mother! We have discussed opening a savings account at the bank, but in the meantime the betrayal seems unforgivable and the relationships unrepairable, but where else will she go? Women are not allowed to own property here, so her only option is to build her house right beside her mother and sisters house, when she saves enough money again. While the place where she will build might look like bush today, one day it will be a place of safety and a home. At the end of the week I was approached about a staff member whose house was burned that morning and it was reported that they lost everything. House fire is not an uncommon occurrence here, but what made this one different was that the house burned two months ago, with her father in the house, and he suffered terrible burns on the bottom half of his body leaving him in the hospital for two months. On Monday he returned home and on Thursday the house was burned again. Suspicious? Yes. Arson? Probably. Will they catch and prosecute the person? Highly unlikely. In the meantime, we will do our part and help with clothes, blankets and Manna Pack for the family. And then there’s our newest little boy who arrived on Thursday. 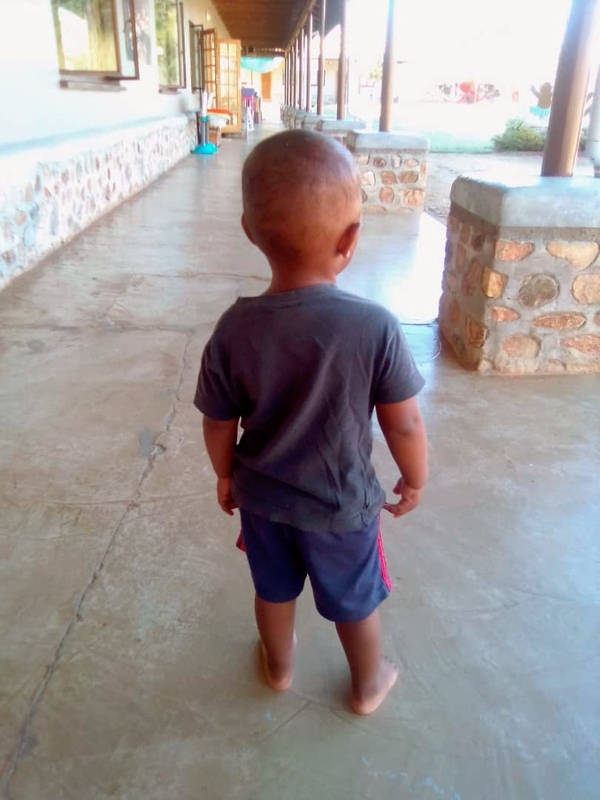 He just turned 2-years-old and spent five months in prison with his 18-year-old mother who has been sentenced to six years in prison for beating another girl with a glass bottle. The boy’s father is also in prison for an unrelated crime.